4 How do you disable this? 6 Couldn't make submission due to a very sensitive abuse filter. 10 Concerning format in comparison to wikia page. Questions? You can ask at the Help desk or on the discussion page associated with each article, or post a message on any editor's talk page. Learn how to customise your userpage. I'm happy to have you here, and look forward to working with you! Shush Spine I have 2751 edits here. —The preceding unsigned comment was added by Cook Me Plox (talk) on 05:07, January 7, 2014 (UTC). No. —The preceding unsigned comment was added by Cook Me Plox (talk) on 05:25, January 7, 2014 (UTC). I bet you can't ban me. —The preceding unsigned comment was added by Cook Me Plox (talk) on 05:45, January 7, 2014 (UTC). First of, I'm not sure if this is the best way to message you. I had a problem submitting a post and I notified the Wikia staff of the error I received. The error was this: "The modification you tried to make was aborted by an extension hook"
The Wikia staff said it is because my submission triggered the AbuseFilter due to have "bad words" set up by local admins for this wiki. Well, I had not intentionally used any "bad words", so it will be hard to identify what the problems is. Per the Wikia staff, they suggest I let a local admin know that perhaps the filter is too strict. 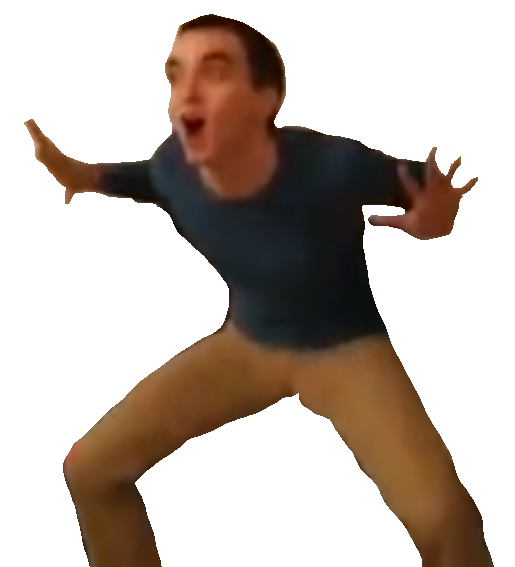 Anyways, I hoping to make large edit to a page. How should I go about doing this? Thanks for contacting us. Unfortunately, I think you may have run into a local AbuseFilter block - specifically a block on use of "bad words", created by local admins. Unfortunately, the VisualEditor is not very good at communicating this at the moment - I will make sure the technical team are aware of it. I hope this helps explain it, and apologies for any confusion and frustration. EDIT: Well everything seemed to just "fix" itself. How strange. Apparently the offending word was in the "Jad Form" section of the Zulrah/Strategies page. I just wanted to reach out and let you know that your site content is absolutely great. I "try" to come here for all of my OSRS needs. That being said... You need to clean up your links, and ads. I can't even use the site 85% fo the time it just freezes. You have 20+ errors in the console, don't seem to pay any mind to cross-domain or same origin policies. Such a waste of a great site. 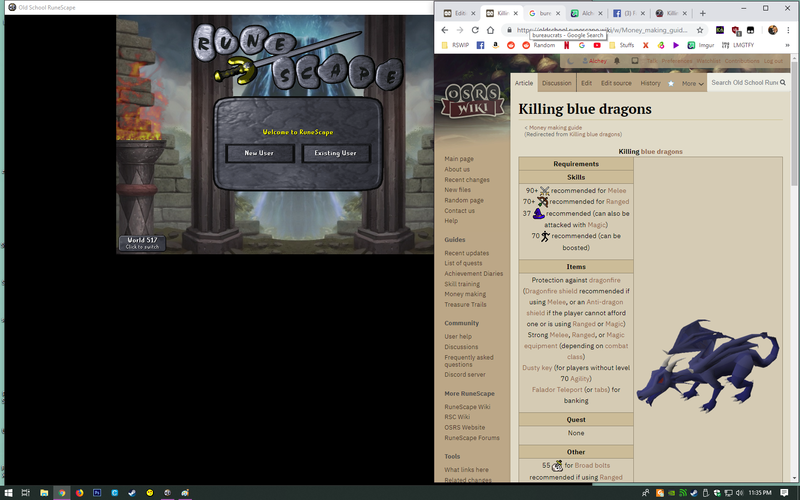 I avoid 2007.runescape links now because they normally jsut freeze up. Took me more than 10 tries to get to this page. HI! I picked you to contact because "plox"... Plox help me and i'll cook you real good(or i'll send you my shepherds pie recipe at the very least and you can cook yourself). 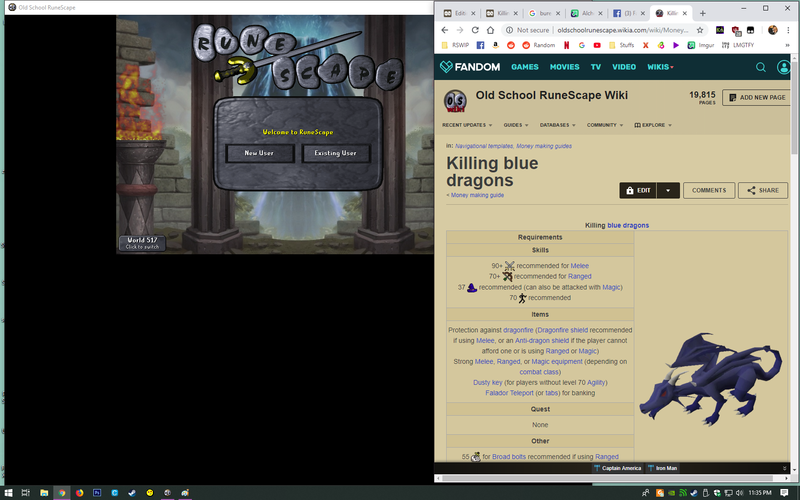 I have nowhere else that I can think of going to get the left hand side bar to either become able to hide or for it to be similar to how the old wiki worked. See why it can be kinda a pain? otherwise the new site is AMAZEBALLZ! If it would be too tenuous to do for y'all I'd be more than happy to brush up on my skills to fix it for you guys but I'm a drunkard soooooo. It would be far easier to do it that way instead of managing the wikia and the new site... just sayin. P.S. sorry for the shoddy images but I'm to drunk to fill up blank space. This page was last modified on 16 February 2019, at 02:51.